After summer the stockmarket tends to burst back into life in September. Unfortunately, the renewed activity in shares tends to be on the downside. 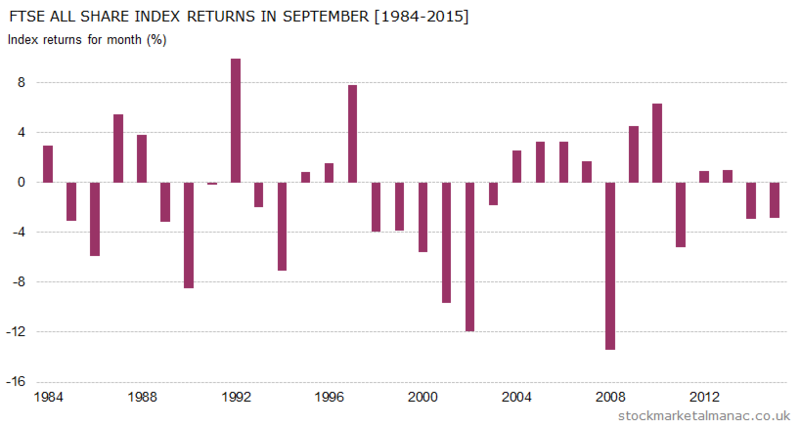 Since 1982 the FTSE All Share Index has an average return of -1.1% in this month, this gives September the worst record for shares for any month in the year. And things haven’t improved recently, since year 2000 the average month return in the month has been -1.9%. However, although the average return is bad in the month, about half of all Septembers actually have positive returns. The problem is that when the market does fall in this month, the falls can be very large. For example, as can be seen in the accompanying chart, the FTSE All-Share Index has declined over 8% in three years since 2000. 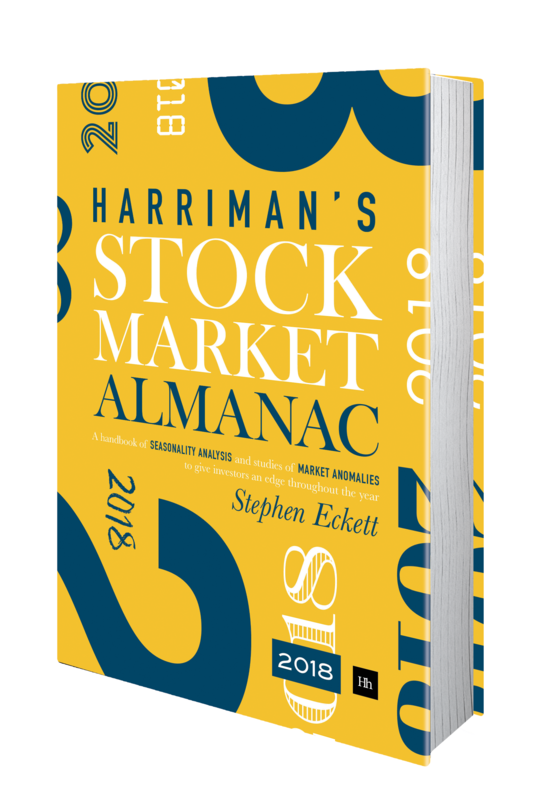 Although October has a reputation for being a volatile month for shares (due to some very large market falls in the month, for example in 1987), since 2000 the most volatile month for stocks by a significant margin has been September. In contrast to equities, gold and silver tend to be relatively strong in September. In the diary this month are: the US Nonfarm payroll report on the 2nd, the NYSE closed on the 5th (Labor Day), ECB Governing Council Meeting on the 8th, MPC interest rate announcement on the 15th, and it’s Triple Witching on the 16th. And, finally, Saturday 10th September will see horse racing at Doncaster – the St Leger Stakes. Of note for those investors who adhere to the adage “sell in May, go away and don’t come back till St Legers day”.